The Extended Day Program offers a healthy, tasty snack every afternoon at each school. In addition to vegetables and fruits, the various snacks include other healthy items such as yogurt, cheese, trail mix, whole grain crackers and whole wheat muffins. Beverages include milk and 100% juices. Fairfax Food Service delivers snacks, which are USDA approved and meet Virginia Department of Social Services licensing standards, to each Extended Day and Check-in Program. Snack menus are created each month by Fairfax Food Service, with oversight by the Extended Day Office to ensure only approved, healthy items are served. The menus are posted at each site and available online at https://ffsfrontend.willetts.com/menu. The menu code for Extended Day is ‘ARLEXT01’. The Extended Day program continues to work closely with families to accommodate children with specific dietary needs (appropriate forms and information must be on file with School Health). 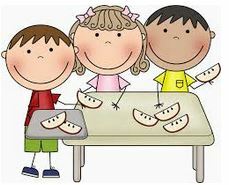 If you have questions or concerns regarding the daily snack, please contact us online at extended.day@apsva.us or by calling the Extended Day Central Office at 703-228-6069. We appreciate your feedback!